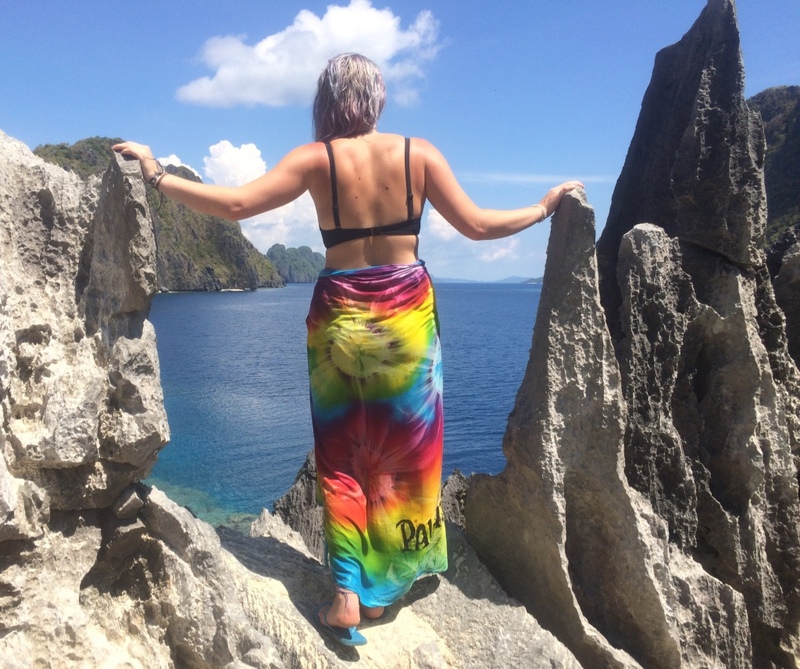 WHY TRAVELLING SOLO IS THE BEST DECISION - Sincerely, Kimberly. When I tell people that I’ve travelled solo, they are amazed like it’s an unusual thing to do. I’ve been told that it’s a brave decision to make and they wouldn’t be able to handle it. In all fairness I defiantly don’t have everything together, I have felt nervous, excited, scared and so many other emotions while on the move but the pro’s of travelling alone certainly out weigh the con’s. If you have doubts about travelling solo stay tuned and give the below a read, I might be able to convince you it’s the best decision you will ever make. Now, this can either be considered a good or bad thing depending on your decision making skills. I’ll have to admit I’m not very decisive but I manage to get by. Have you ever been on holiday with friends and you didn’t get the chance to visit that famous museum because others didn’t share your love for modern art? Well, travelling solo gives you the opportunity to make your own plans, be your own boss. You can be spontaneous without having to consider others likes or dislikes, it’s true freedom to do what you want on your timings. If you go by yourself you can leave on your timings, if you wait for your companion who knows how long you could be waiting. Don’t get me wrong, I enjoy travelling with others but sometimes when you’ve got a burning desire to go somewhere, you have to take a chance and travel alone. Travelling solo can be a tad lonely at times. If like me, you’re not the most confident person you need to push yourself out of your comfort zone and talk to people. Yes, it’s really that simple … Talk to people, make some new friends and learn about the local culture. Don’t forget to chat to the locals, they may know a few hidden places that aren’t on the normal tourist track. If I didn’t talk to people on my last trip I wouldn’t have met the amazing friends I still stay in touch with today. Sometimes the people you are meant to meet aren’t on your doorstep, you have to venture out into the world to meet them. Ever gone into a restaurant and they didn’t have a table for your party of 6? or tried to book the cheap hotel but they didn’t have enough room? Well travelling alone makes it a lot easier, you can grab the last spot on tours and even in hotel/hostels. If like me you have zero sense of direction, travelling solo can help develop this skill, you’re forced to use your own initiative and gage where you are. You need to pay attention to your surroundings, especially if you are venturing out on a hike or other activities. Although since I’ve returned home, this skill has slowly faded away because I depend way too much on Google Maps and my Sat Nav. Travelling solo pushes you out of your comfort zone, you don’t have your friends, family or home comforts around you so you’re forced to think for yourself and not depend on others opinions. You learn to trust your own opinion and develop confidence along the way. Most travellers don’t make the healthiest food or fitness choices, many people are in “holiday mode” and don’t consider that the holiday has to end at some point. You have to adjust to the lifestyle and ensure you make better choices, especially if you’re on the move for a long period of time. When I’ve travelled with friends I find that if they have a little treat or a cheat meal, I feel the need to also indulge. Maybe it’s because I’m easily influenced and haven’t yet established a long-term relationship with a “healthy lifestyle” but it’s a work in progress. On the other hand I have more motivation to remain healthy while travelling alone, I make healthier food choices and am less likely to indulge on a greesy pizza. Not only are my eating habits acknowledged more while travelling solo, my fitness routine stays on track and also I don’t consume as much alcohol. Healthy eating can also depend on the destination you choose, in countries such as Japan or Australia it can be easy to choose the healthy option as there is one. Although in countries like Italy where the only thing on the menu is Pasta, good luck! Can I just ask why it's only "almost" encouraged you to go? There are loads of opportunities to volunteer and work with animals, kids and other projects to help struggling communities. It's great to give something back, I would love to do one of these projects! Ha, the age old "I'm going to find myself", I do love this phase although its a lot of expect just from travelling solo in my opinion, some people come back from travelling and don't feel as if anything has changed, they don't feel any different nor do they act differently but everyones reaction will vary. Although that said it's an amazing experience and I felt like travelling solo changed my perspective on people and cultures because I paid closer attention to the finer details alone.